Research proves that writing down your goals and making them public significantly increases your chances of achieving them. 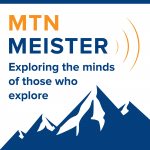 In this episode of MTNmeister, we give some Meisters (Garett Graubins, Adrian Ballinger, Emily Harrington, and Trevor Thomas) the opportunity to share their goals with the world. Now it’s your turn. 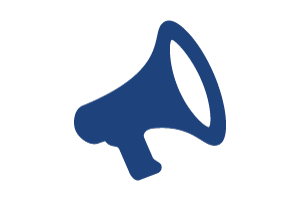 Share your goals with the Meister community and help others stay accountable to their goals! Goal 1: Your pretty safe goal. You’re fairly sure that you can do it, although it’s still not a sure thing and you’re going to need to work at it. Goal 3: A BHAG (Big Hairy Audacious Goal) in the purest sense. You’ve never done it, and maybe nobody else has ever done it. You’re sincerely not even sure if you’re capable of it. All the stars will need to align to make it happen. Some luck might be involved. This is the goal that, as you write it down, you feel butterflies and nerves over even making it public. In Write It Down, Make It Happen, Henriette Anne Klauser, PhD, explains how simply writing down your goals in life is the first step toward achieving them. Writing can even help you understand what you want. In this book, you will read stories about ordinary people who witnessed miracles large and small unfold in their lives after they performed the basic act of putting their dreams on paper. Before you know it, you’ll be writing your own ticket to success. Oh yeah, and here’s a FREE audiobook, courtesy of Audible.com! SAY CONGRATS TO A FRIEND!